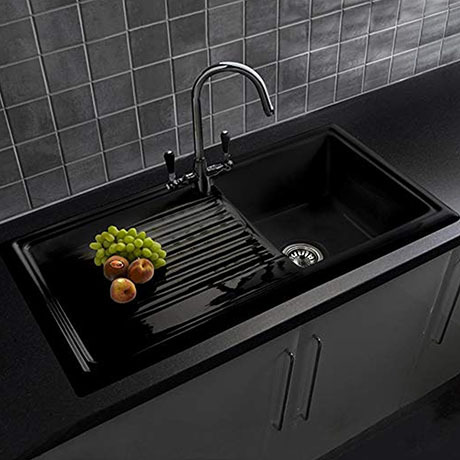 The traditional black ceramic sink features a 1.0 bowl, although classic in design, Reginox use the latest design and manufacturing methods to achieve amazing results. Made from high grade fine fire clay it makes it robust and durable making it able to withstand the daily uses of the kitchen. This beautiful sink comes with a 10 year manufacturer’s warranty.